I played extensively with gradients (ombre) this time around. I think I need to find some China Glaze, a lot of the nail polishes were very dilute, so I had to go back and dab more on to fix the gradient. 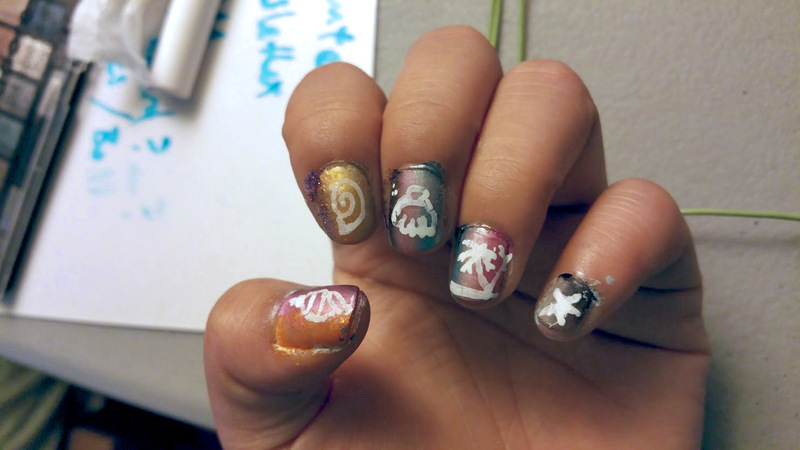 I also used a nail polish pen to draw summer / water themed decals on top of the background gradient colors. 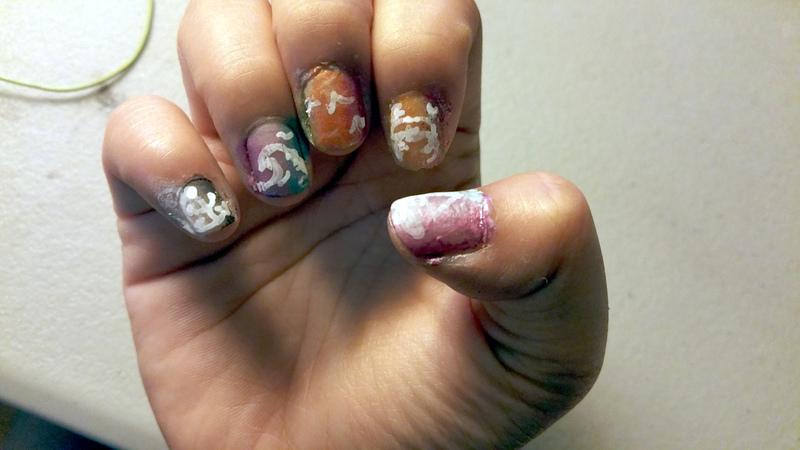 I’m most proud of the one with the conch shell, though you can’t see the colors too well in this picture.